At Siemens Healthineers, our new ultrasound product portfolio delivers a new era of imaging excellence. The ACUSON Sequoia™, was developed in response to one of the most prevalent challenges in ultrasound imaging today: the imaging of different sized patients with consistency and clarity. With its new Deep Abdominal Transducer (DAX), a new high-powered architecture, and innovative updates to elastography and contrast-enhanced ultrasound, the new ACUSON Sequoia produces penetration up to 40cm. The ACUSON Juniper™ features a lightweight, ergonomic design with complete manoeuvrability for use across a wide variety of clinical segments. Though small in size, the ACUSON Juniper is powerful. The system’s versatility and adaptability makes it ideal for diverse patient anatomies and physiologies. Hitachi’s dedication to diagnostic ultrasound has created an extensive portfolio of ultrasound systems designed to meet the unique requirements of Radiologists and Sonographers. Over eighty years combined experience has enabled Hitachi to produce intuitive systems with exceptional functionality from the premium level ARIETTA 850 with CMUT technology through to high and mid-range ultrasound including an expansive range of portable systems. As pioneers of the world’s first commercially available Elastography system in 2003, Hitachi now extend the utility of their systems further with the implementation of Body Motion and Needle Tracking functionality expanding the utility of Real-time Virtual Sonography as the ideal partner for Interventional Radiology. 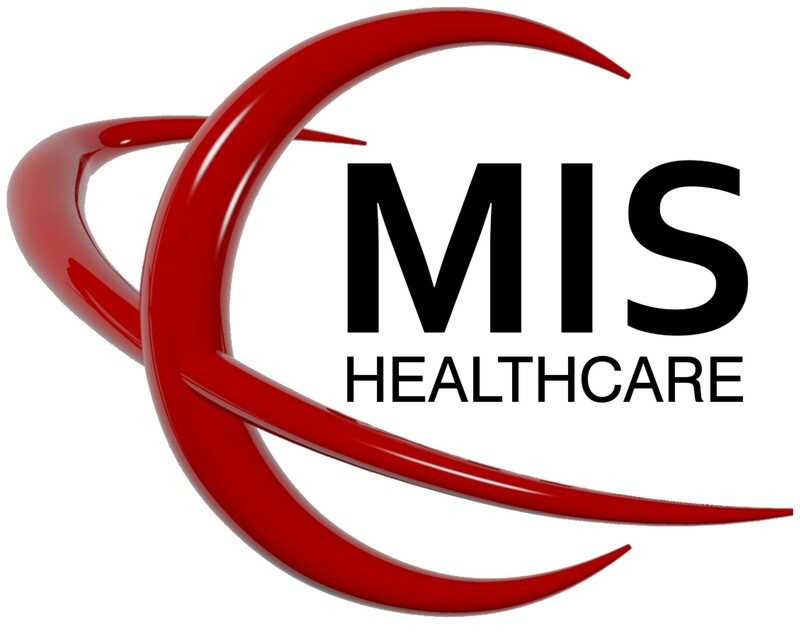 MIS healthcare a Samsung Gold partner has continued to showcase the latest technology produced from one of the world’s largest Electronics companies. Samsung has continued to integrate the latest in electronic and AI (Artificial Intelligence) technology to produce next generation premium ultrasound systems. Samsung’s speed of innovation, delivered by MIS Healthcare Quality Services, helps medical professionals deliver great healthcare to their patients. This year MIS will introduce a range of ultrasound units to include our flagship Radiology RS85 and NEW Women’s Health unit HERA W10. Esaote, one of the world leaders in the manufacture of diagnostic ultrasound systems and probes for more than 30 years, announces three new ultrasound systems: MyLab X7, MyLab X6 and MyLab X5 following on from the MyLab 9. These new systems enrich their portfolio by establishing new standards of image quality beyond efficiency, flexibility and ease. The MyLab X7, MyLab X6 and MyLab X5 systems renew and complete Esaote's product range making ultrasound acquisition faster and smarter for diagnostic confidence, the reliability of clinical performance, and the increasing emphasis on daily productivity. Nanosonics is an innovator in infection prevention. Our unique, automated trophon® high level disinfection system has paved the way around the world in setting a new standard of care in ultrasound probe disinfection practices. Currently there are over 16,000 units installed in over 21 countries. In AUGUST 2018, Nanosonics launched trophon®2, the latest innovation in ultrasound probe high level disinfection. trophon®2 features an enhanced design, simple and fast workflows, and all new AcuTrace™ for digital record keeping and seamless integration with your hospital IT system. Meet us at booth 2/3 to learn more about how trophon® will enable you to meet the new BMUS, ESR guidance on ultrasound probe disinfection. www.nanosonics.co.uk. Advanced Ultrasound Electronics UK Ltd, based in Northampton, UK, repair ultrasound parts to component level for Philips, GE, Hitachi Aloka, Canon, SonoSite and Siemens amongst others, and can provide repaired, new and used ultrasound parts, probes and systems. We offer in-house repairs for portable systems and have GE, Philips and SonoSite systems available to rent if required. We have a range of CPD approved biomed based training courses, from Introduction to Ultrasound through to various Advanced system specific courses focusing on next level repairs. Pacific Radiology is New Zealand’s leading radiology services provider. We offer the full range of imaging modalities with a team of over 850 and one-quarter of the radiologists in the country. And now we're looking for British and Irish qualified sonographers wanting a gratifying career and a fantastic lifestyle in New Zealand. Charge Sonographer Sue Byers and our Service Delivery Manager Jane Hardy will be at BMUS to answer your questions about a move to New Zealand. Sue is originally from the UK so she can give you first-hand advice about qualifications and immigration requirements. Tristel is a manufacturer of infection prevention and contaminating control products. Its lead technology is a chlorine dioxide formulation, which has been a ground-breaking innovation in the world of Infection Control. Please visit Tristel at stand 8 to find out about Tristel products particularly suitable for Ultrasound. The Society and College of Radiographers is committed to developing and promoting the science and practice of all forms of medical imaging and radiation therapy, including ultrasound. We put the unified voice of sonographers in the UK to good effect in developing and promoting policy on current and emerging educational, professional and workforce issues related to sonography. We are a trade union as well as a professional body and are able to represent sonographers effectively in the workplace. Do please visit our stand at this special 50th BMUS Annual Scientific Meeting where there will be opportunity to discuss membership, win a valuable prize and review the wide range of e-LfH learning units for obstetric and non-obstetric ultrasound that are available. Members and non-members are all very welcome. For over 20 years Casmed has supplied high quality devices for use in all aspects of ultrasound including needle guides and cyst aspiration needles. We offer one of the industry’s most complete selections of high quality disposable probe covers designed to fit all makes of ultrasound probes together with balloons for endoscopy ultrasound in both latex and non-latex. Our non-latex covers, made from polyisoprene, have excellent elasticity and combine positive aspects of latex without the negative aspect of allergy. Probe covers prevent the risk of transmission of infection to patients and staff during procedures and eliminates costly and time-consuming disinfection. Added benefits include protection of equipment; savings in the number of probes required and reduced maintenance costs. Covers are recommended for use in cardiology, gynaecology, urology, radiology, gastroenterology, intra-operative and surgical procedures. Our extensive range is available in both sterile and non-sterile covers and each cover is individually tested and packed. Bracco UK Limited is the UK subsidiary of Bracco Imaging Spa, a multinational group active in the healthcare sector with a total of 3,100 employees operating in more than 90 countries around the world. Over the years Bracco has intensified its commitment to innovative specialised research in imaging agents for diagnostic medicine, alongside the further development of medical devices and advanced injection systems for radiology and cardiology. Bracco’s business success is based on research and innovation, international growth and corporate social responsibility. For more information please visit www.bracco.com. MedaPhor, the intelligent ultrasound software and simulation company, develops artificial intelligence-based clinical image analysis software tools, augmented reality-based needle guidance software and advanced hi-fidelity haptic and manikin-based training simulators for medical practitioners. The Birth Company founded by Dr Donald Gibb provides the latest developments in Non-Invasive Prenatal Testing and Early Fetal Scanning. Working closely with fertility patients from the beginning of their IVF journey through to birth. Over the last 4 years the clinic has moved direction from a Consultant led practice, becoming Sonographer led by Managing Director, Kate Richardson and her team of highly experienced Sonographers performing ultrasound scans at all stages of pregnancy and fertility scans. The Birth Company provides a commitment to Sonographers education and clinical developments, to provide excellent care in pregnancy. Our clinics are located in Harley Street, London and Alderley Edge, Cheshire. We are open 7 days a week and provide late evening appointments in our London facility. Mermaid Medical is delighted to be exhibiting at the BMUS Annual Meeting this year. M Fixx - New catheter securement device for long term catheter fixation. EasyPay Network provides innovative, secure payment solutions specialising within the NHS and Healthcare sector. With over 10 years’ experience working exclusively within the NHS, our bespoke payment kiosks are installed in over 100 locations throughout hospitals in the U.K.
Our kiosks provide a safe, efficient and measurable way to collect payments and generate additional revenue within a hospital environment. As a flexible, agile business we embrace and incorporate new technologies into workable designs and products, including delivering CIP and other measurable customer led projects. Our customer focused approach means we can work together to innovate and add value to staff and patients. Do you want a change of scenery? How about moving to the commercial and cultural capital of New Zealand? Mercy Radiology has been an industry-leading provider of diagnostic imaging services for over 30 years, with locations throughout Auckland. Our emphasis is on quality of service coupled with the latest in imaging technology. Pop by and talk to members of our Sonography team and learn from those who have made the move about all the opportunities and benefits that working in Auckland can provide you with. MEDECON Healthcare is an independent provider of Managed Equipment Services (MES) and Multi-Vendor Services (MVS). Medecon is passionate about delivering a world-class service to the NHS, Private Healthcare sector and others. Medecon are experts in providing services maintenance, calibration and repairs of Radiology, Biomedical medical devices and laboratory equipment. With an ever expanding and evolving presence in the NHS we boast a flexible, stable and attractive approach to work including; contracted, temporary, locum arrangements, and attractive benefits with an option to join a reputable pension scheme. Diagnostic Healthcare (DHC) offers practitioners a supportive and diverse working environment with a variety of skill mix. All Sonographers are covered by DHC’s professional indemnity insurance, come and talk to us. Visit our stand 28 at BMUS and say hello. Bowen Therapy is a gentle technique using the pads of fingers and thumbs to roll over soft tissue and ligaments. Bowen is suitable to be used in all age groups and especially where pain is present. It does not attempt to force change; rather it asks the body to recognise and make changes necessary to bring it back to homoeostasis. Experience has shown that Bowen Therapy is very relaxing and in cases of emotional stress, where relaxation is a prime factor in easing pain and anxiety, it may help in improving the quality of life.